Home Blog Is There a Market for Organic Foods in Urban Neighborhoods? Is There a Market for Organic Foods in Urban Neighborhoods? For the previous two growing seasons, I have operated two organic farmers’ markets for Rodale Institute in the City of Allentown, Pennsylvania. 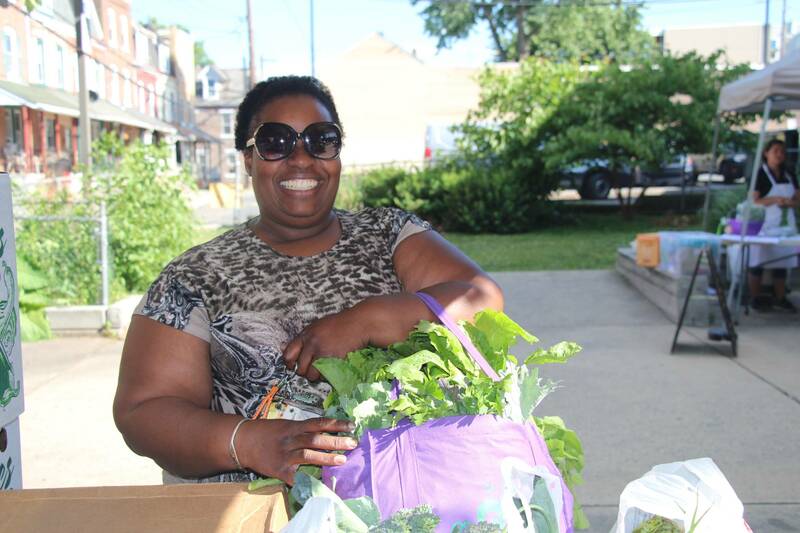 These markets were a part of a comprehensive initiative, Organic Allentown, to increase organic food access to two low-come and food insecure neighborhoods in the city. 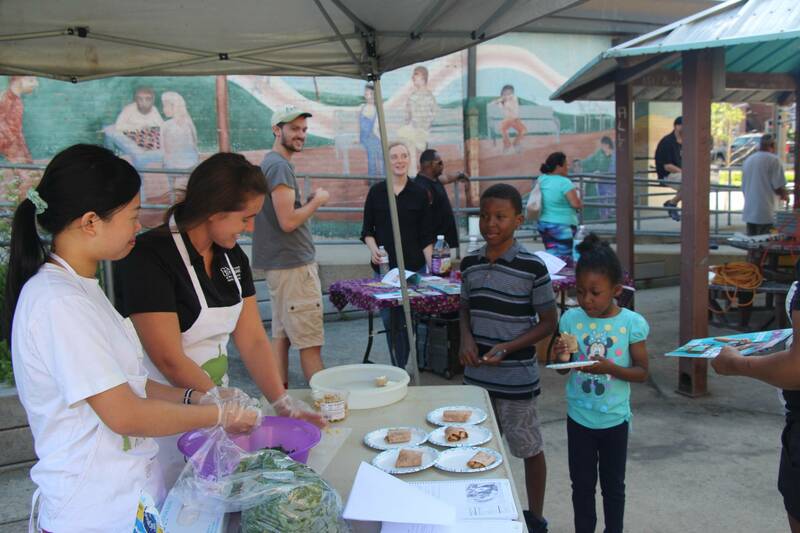 The Organic Allentown program also provided education and awareness of issues concerning organic food production, soil health, nutrition education, cooking lessons, and the importance of learning how to grow organic food at home. A goal of the organic markets was to address the issue of affordability of the produce, and it addressed affordability in a manner of ways. Our markets’ organic produce was reasonably priced as it was grown locally at our 333 acre, certified organic farm in Kutztown, Pennsylvania; labor for the markets was mainly intern and volunteer driven; the markets accepted public assistance such as WIC (Women Infants and Children) FMNP (Farmers’ Market Nutrition Program) checks and SNAP (Supplemental Nutrition Access Program) benefits; our markets simultaneously provided a Double SNAP incentive, which extended a 50 percent off discount to SNAP recipients; lastly, any slightly damaged or “ugly” produce items were sold at a clearance rate of 25 cents each. The funding for this project was provided by two USDA grants; the USDA/AMS FMPP (Farmers’ Market Promotion Program) grant and USDA/NIFA FINI (Food Insecurity Nutrition Incentive) grant. As the market manager, I learned two major lessons from the operation of the organic markets: Primarily, there is a market for local and organic products in low-income neighborhoods; secondary, there are significant challenges to the traditional farmers’ market model in low-income neighborhoods. I believe that there is evidence that the market will continue to grow, but could use the help of some strategically coordinated and population specific marketing campaigns. By the second season of operation, it became apparent to me that a significant percentage of the population in the low-income neighborhoods felt alienated and uninvited into participating in the local, organic food system movement. In order to further engage the population, I designed a market campaign that was bilingual, inviting, inclusive and welcoming. These radio commercials, local television appearances, local periodicals and partnerships with various community development organizations were a necessary outreach to effectively promote the organic markets and its programming. The marketing and promotion of the organic markets to the ever coveted Millennial demographic relied heavily on social media and word-of-mouth. At the completion of the second season, I handed out surveys to capture basic demographic information and to measure the perceived attitude and behavioral changes that the beneficiaries experienced while participating in the organic markets. Here are some of the more intriguing statistics gleaned from the surveys. 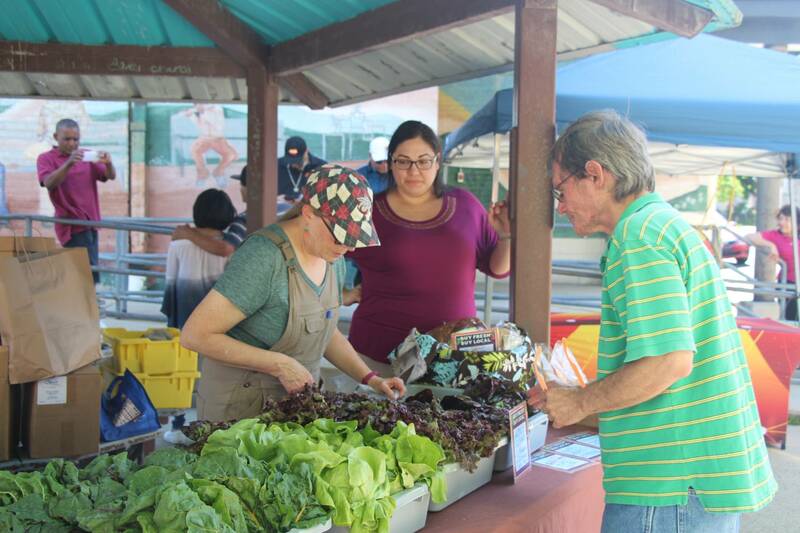 The best description of a typical shopper at our organic farmers’ markets is a female; mostly likely white, possibly Hispanic/Latino, with at least a high school diploma/GED or some college credits, whom has an annual household income of less than $49,999. Although the Organic Allentown program did reach the attended low-income and food insecure population, more in rows and outreach has to be done to fully engage this population. 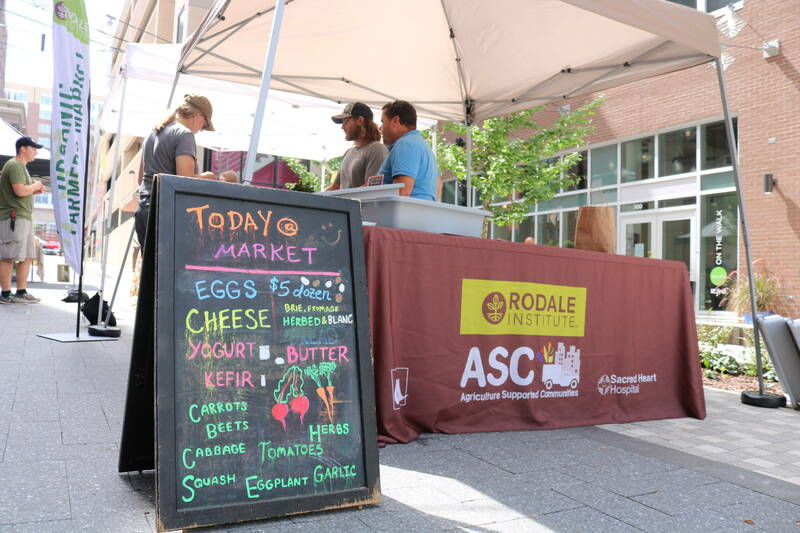 Much of the data gathered through Rodale Institute’s Organic Allentown Farmers’ Markets is consistent with various national studies. In order to increase participation in the local, organic and sustainable food movement, leaders in these fields must make a consorted effort to reach out to lower-income and minority populations. This will take a considerable investment in time and funding to develop either local or national marketing strategies. The higher educated and wealthy demographic that has been driving the economic boom of local and organic foods has been saturated, and this explains why the growth of farmers’ markets and shopper traffic has begun to plateau or even decline in most areas nationally. Organic and local food media campaigns should be multi-lingual, inviting, and contain images that low-income and minority populations can identify with and relate. Along with engaging more low to middle income and minority populations, our shoppers were overwhelmingly female. More efforts can be made to engage older Millennial and Generation X male populations. Lastly, participation in local and organic movements is being whole-heartedly embraced by the Millennials. Their participation and support in local and organic food systems crosses socioeconomic, minority and gender demographics. Millennials value food that supports their local economy, creates entrepreneurial opportunities, is produced in a sustainable and organic manner that contributes to the health of our soils and the environment, and are passionate about feeling connected to their food system. It is an exciting time for the organic and local food movement. Demand for these products has never been higher. Some shoppers are motivated by personal health, and others are motivated by environmental challenges such as climate change. The organic sector grew at a stunning rate of 11 percent from last year. However, in order to grow the sector into a range that is closer to 25 or 50 percent of the market share, the organic and local food movement will need to engage demographics that were not previously targeted. Along with marketing and promotion strategies, there also needs to be a consorted effort to grow organic farm land nationally. As the demand for organic foods continue to grow at this aggressive rate, we will need to invest into transitioning more organic farm land across the nation. Jesse Barrett is the Organic Allentown Project Manager at Rodale Institute.